I just wanted to write and say how happy we are with your recent work on our deck, cladding and paving. The deck and cladding in particular were looking very sad, but now look brand new! I also really appreciated how cleanly you worked with no mess or splatters left for us to deal with. I will definitely get you back next year to ensure it all stays looking brand new. 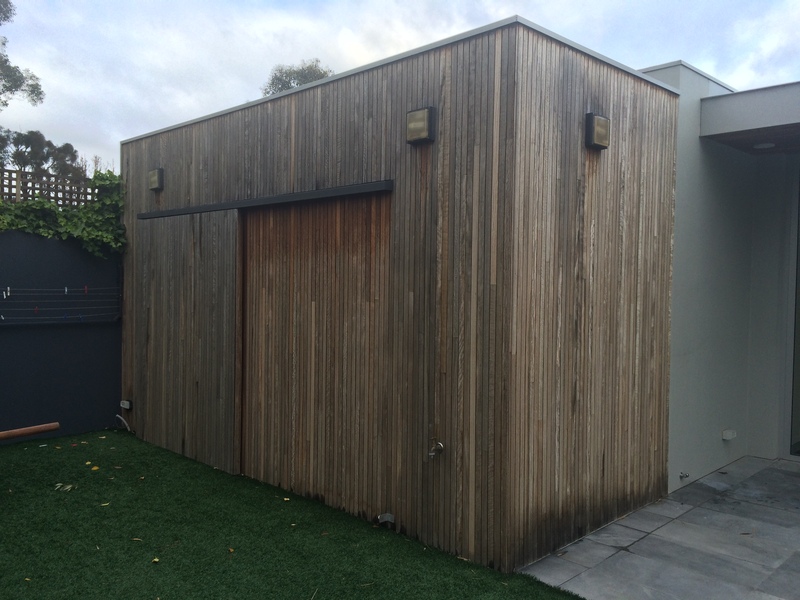 This Project required returning Greyed Spotted Gum Decking and Cladding back to its wonderful natural state. As with many outdoor areas surrounded by pools and the full sun this area had no longer been provided with protection and sound preparation and quality decking oil/sealer was required. For maximum protection ‘Natural Stain’ was used and the results speak for themselves. Deck Tech will be happy to provide ongoing maintenance to this property, as with many others to provide an ongoing cost effective maintenance program to ensure the timber remains in peak condition and is a pleasure to look out on.